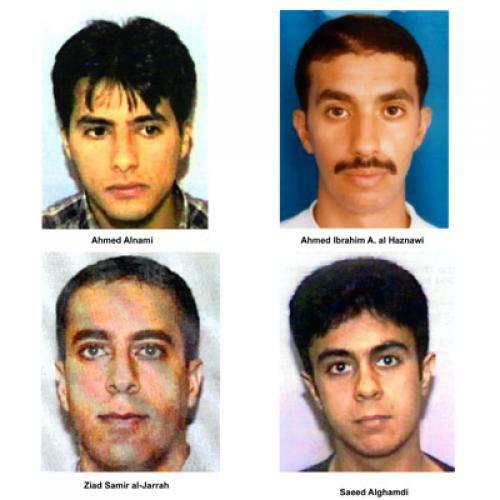 Of the 19 young Arabs who struck the United States on September 11, the Lebanese-born Ziad Jarrah, who is thought to have been at the controls of the plane forced down by its heroic passengers in Shanksville, Pennsylvania, has always been of greater interest to me than the others, and for strictly parochial reasons: We were both born in the same country, but two generations apart. For me, the contours of his life are easy to make out. He hailed from a privileged Sunni family from the Bekaa Valley and was raised in Beirut. He had gone to an elite French Lycée, Collège de la Sagesse, one of the country’s most prestigious. In the fashion of the Lebanese families of means, great hopes were pinned on him and nothing was denied him. He was his parents’ only male child. There was little if any religious observance in his family. His sisters were modern young women of Beirut; they hit the beaches of the city in the summer, and they and Ziad were carefree souls. The boy wanted to be a pilot; his father had vetoed that choice, so he settled for a course in aeronautical engineering and aircraft design. In a place like Beirut, that occupational ambition was glamorous. It was never easy making one’s way in Lebanon. The country was crowded, and there wasn’t enough to go around for all the dreams and ambitions swirling about. Ziad Jarrah’s life—the details of which were chronicled by two Beirut dailies, An Nahar and L’Orient-Le Jour, as well by the staff of Der Spiegel in a 2002 book titled Inside 9-11: What Really Happened—began in 1975. And the year of his birth was of no small consequence to the journey he made. It was the year the long and bloody Lebanese civil war broke out, the war that would last a good generation. All the verities gave way; the bourgeois dreams of prosperity and safety rested in the palms of the devil, as the Arabs would say. The Lebanese continued to say the usual things about their country—that the wars in their midst were inflicted on them by others, that Lebanon was a secular, modern place where the crescent embraced the cross, and that no one bothered with the religious identity of their neighbors. All the while, the religious and sectarian slaughter went on unabated, and Beirut became a divided city at war with itself. Some Lebanese held onto the old ways. Jarrah’s family sending their only son to a Catholic school was of a piece with that fidelity and with the ambition they had for him. In time, at age 20, Jarrah would leave his birthplace—nothing unusual about that, as the Lebanese are the quintessential migrants. Their country was poor, but its people consoled themselves, said that they were Phoenicians, and that adventures and voyages abroad were in their blood. Jarrah’s destination was Germany. There, his good looks and his charm, the ease of his manners—Beirut taught that to the young, particularly to the young on their way to foreign lands where they would depend on the kindness of strangers—served him well. A German landlady was taken with him. She was an artist and painted his portrait. Aysel Senguen—a young woman of Turkish descent, fiercely irreligious, a medical student—fell in love with him, and there were plans for marriage. But there was a great rupture in Jarrah’s life. The boy who never missed a party in Beirut would now never miss a prayer in Hamburg. The turn to religion announced itself in small ways—this is standard in the biographies of Islamic militants. His girlfriend remembered him suddenly growing irritated with her choice of clothing, with her drinking. He enrolled at the University of Applied Science in Hamburg; in nearby Harburg, he drifted into a circle of Muslim students. There he met the Egyptian Mohamed Atta, who, in time, would lead the death pilots. This was freelance religion—faith without the mediation of religious authorities, faith in bilad al-Kufr, the lands of infidelity, a militant faith offered as penance for a party boy who had never known, or practiced, the rituals of the faith. He would journey to Afghanistan and offer a pledge of loyalty to Osama bin Laden in 1999. He kept his family in the dark about this turn in his life. We have no record of what he thought of Afghanistan, but he had his Beirut snobbery, and, doubtless, he would have seen the stark surroundings through the prism of his own upbringing in that polished city by the Mediterranean. The journey to the United States in the summer of 2000 was the journey of a jihadist-in-preparation. He would take a course in martial arts and attend a flight school in Venice, Florida. He set off no alarms. Always with Jarrah, there was the polish of his background; bin Laden had chosen his killers well. They were taught to slip into the world of the infidels undetected. A boy educated in a Catholic school was now ready to kill and die for the faith. Jarrah’s new piety can be glimpsed in the farewell letter he wrote to Senguen on September 10: “I did not leave you alone. Allah is with you, and with my parents. If you need anything, then ask Him for what you need. He listens and knows what is within you. Hold on to what you have until we meet again. And then we will have a very beautiful eternal life, where no problems exist and where there is no mourning.” For Jarrah, there had been no immersion in the scripture and the sources, no stultifying education in a madrassa. He would have had no time for the tracts of Sayyid Qutb. The textualism of the Islamists was not for him. There was the confusion hurled at him by the tumult of Beirut. There was the impact of the storefront mosques that had sprouted in Europe and North America. There were the attachments formed with fellow Arabs in an alien European setting. That fellowship appears to have mattered greatly to him; he had never been a loner. The haunting thing about Jarrah is the banality of his journey and the barbarism of his deed. He did not come from poverty; he had an allowance of $2,000 a month from his family. There had been no evidence of a deep religious attachment, no indication of some burning hatred of the United States. There is no aversion to women, no trace of the misogyny that Atta gave voice to in his last will and testament. Atta had not wanted women to pray over him, or to come to his graveside, and rend their garments, and grieve for him. In contrast, Jarrah’s final and most felt sentiments were the consoling words he had sent to his intended bride. Modernism offended Atta and was alien to the 15 young Saudis, most of whom came from the insular southwestern hinterland of that country. This Lebanese young man of 26, who boarded United Airlines Flight 93 in Newark and took it to its grim end, was at ease with the modern world. The very normalcy of his upbringing and the old hedonism giving way to a sudden need for absolution are much more unsettling than the warning signs and the zeal of a true believer. No sooner than he comes into focus for me—the familiarity of his life, the ways of the city where we both were brought up—than I lose him, and he becomes a man possessed, a stranger. This article originally appeared in the September 15, 2011 issue of the magazine. Fouad Ajami is a senior fellow at the Hoover Institution at Stanford and co-chair of the Herbert and Jane Dwight Working Group on Islamism and the International Order.